Back in 2017, Variety reported the news about Adewale Akinnuoye-Agbaje’s British drama Farming. 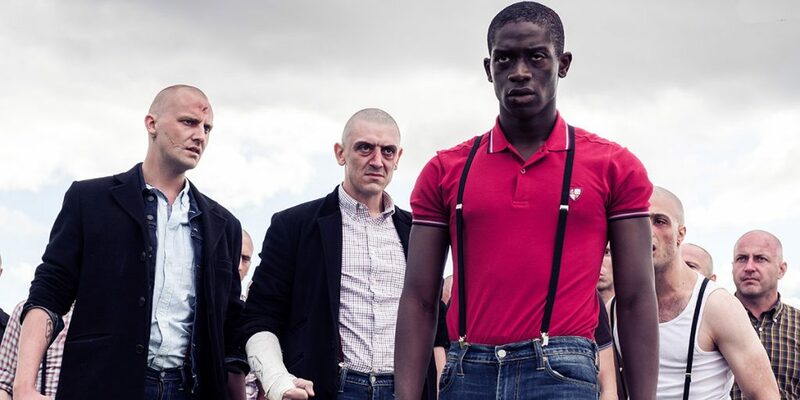 Based on Agbaje’s autobiographical story, Farming centers Enitan (Damson Idris), a young Nigerian boy drawn into the warped world of a racist skinhead gang in 1980s England. Per the plot synopsis, Enitan is “farmed out” by his parents to a white British family in the hope of giving him a better future. Caught between two worlds and belonging to neither, Enitan’s need for love and acceptance is exploited by the adults in his life, transforming a sweet boy into a teenage menace. Driven by themes of identity, power, love and betrayal, and rich with compelling characters, it will interest you to know there are characters named Fathead and Scum (don’t laugh) played by James Eeles and Theo Barklem-Biggs. There’s Enitan’s complex and dubious foster mother Ingrid (Kate Beckinsale), and the charismatic leader Levi (John Dagleish) whom Enitan must overcome. Farming also stars Genevieve Nnaji as Tolu, whose film Lionheart will mark her directorial debut and set to premiere at this year’s Toronto International Film Festival. Agbaje’s Farming has also been queued up to premiere. READ MORE: Nollywood was founded on Horror Movies, so why do we neglect the genre now? For a bit of history: during the 1960s and 1980s, tens of thousands of Nigerian children were farmed out to white working class families in the U.K. Tragically, many were never united with their birth parents. Agbaje withholds nothing as he details Enitan’s hurt, his yearning, and his descent into destructive self-loathing. No official release date has been announced yet.